This is the first of a 5 part series on the terrible waste Harris County residents endure paying for TWO school systems. As you will see in these articles, not only is there enormous waste within the Harris County Department of Education, there aren't any students! 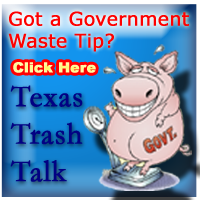 When you look for “government waste” you don’t have to go all the way to Washington, D.C. Harris County has the mother lode of waste right here in Texas. It is called the “Harris County Department of Education”(HCDE). At first the Legislature gave county boards authority to operate local public schools, so in 1889 HCDE was formed and served about 900 students in Harris County. Over time, the Legislature allowed “independent school districts” to form if they had 500 students and a tax base. Houston ISD formed in the 1920’s. Across the state, as students moved to independent school districts, the county education boards shut themselves down and handed over their authority, assets and tax base to the new independent districts. But not HCDE. Even after all their students moved to public schools operated by independent school districts, HCDE’s board did not shut itself down. Their board members were not willing to give up their power and authority to tax. Instead, all these years Harris County taxpayers have had to pay county education taxes as well as their independent school district taxes. They pay for the election of two school boards as well as the salaries and infrastructure of two separate school districts. Even though the HCDE Board knows they are obsolete, they continue to tax and invent reasons why they should still exist. Their employees lobby to keep their cushy jobs and the taxpayers even support an entire “marketing department” to spread the word all over the country about the “great job” HCDE does. When HCDE no longer had schools to operate, they attached to federal programs to justify their existence because that is where the big education money flows deep- “Head Start”, “Safe Schools”, “Elementary & Secondary Education Act (ESEA)”, etc. Ever wonder how the liberal programs the Feds want to push into conservative places like Texas get in the door? Through organizations like HCDE that use taxpayer money to support liberal programs and organizations. #4 Edward Ybarra with LULAC Council 402 extended his gratitude to the Board and Administration for allowing LULAC the use of HCDE meeting rooms for their meetings throughout the year. #5F. Angie Chesnut reported on Carl Schwartz’s recent hospitalization and welcomed him back..Carl Schwartz reportedon his recent emergency visit to the hospital and reported that he is feeling better. #5D. Debra Kerner reported on her attendance to a governance session of the Head Start Policy Council. Louis Evans reported on his attendance to the October 21, 2010 Lights on Afterschool breakfast and congratulated Doug Kleiner and Lisa Caruthersand other staff for a job well done. #4 Howard Sims, Head Start Policy Council Chairperson, addressed the Board regarding the Head Start Program and spoke on the importance of the program. Mr. Sims thanked the Board for the support it provides to the program. #5H Debra Kerner thanked HCDE staff for working the gubernatorial debate. Debra Kerner announced the Civic Leadership Breakfast taking place October 21, 2010. The Texas Legislature has not had the backbone to force HCDE to shut down. In the 1990’s when the Legislature reformed the education code, they left a loophole allowing the two remaining county school boards in Texas to continue collection of a second school district tax and continue operation of their obsolete county districts. So, for over 60 years, Harris and Dallas County residents have carried an extra tax burden that no other counties in the state have had to bear because of the greed and lack of leadership of elected officials. Continued in Part 2: Duplication. In Part 5 you can sign the petition to stop this waste. In Part 1 of exposing the waste taxpayers bear in paying for the Harris County Department of Education we focused on the fact it is OBSOLETE. This is the 2nd of 5 parts. If you live in Harris County you already know about your local independent school district but it is time to learn about HCDE, the second district you are forced to support with your hard earned tax dollars. The Board consists of seven members whose elections, training, travel, meals, etc. are all paid with tax dollars. So how many faculty and staff is that per student? Great question!!! According to reports from Texas Education Agency (TEA) – the organization that the Texas Legislature puts in charge of collecting information and data on schools in Texas- HCDE operates 7 schools with a grand total of “0” students. That is right. TEA reports “ZERO” students educated by HCDE. Either TEA has overlooked HCDE and not made HCDE report their students’ attendance, test scores, drop-out rates, etc. or TEA allows HCDE’s students to be included in their home school’s reports. But if that is the case, how can any district be expected to report a student it had to expel? Something does not add up. So, if HCDE is a school district whose focus is NOT educating the children inside its district boundaries, just what do they do with the nearly $16,000,000 of local tax dollars they collect each year? That sounds good but just why does Harris County need a separate school district to do this? How do all the other counties in Texas (except Dallas) get by without needing to pay for a separate county department of education? Simple, they use the Texas Regional Educational Service Center system as well as other organizations that specialize in educational support. TEA has Harris County assigned to the Region 4 Service Center which provides many duplicate services (pdf): Purchasing Cooperatives, Adult Education, Art Staff Development, Central Office Administrators Academy, Bilingual Staff Development, Choice Facilities Partners, Digital Learning, Educator Certification, ESL-ISOL, Virtual Instructor’s Academy (VIATx), etc. Around the state other service centers also provide duplicate services to HCDE. Region 10 provides not only Purchasing Cooperatives, but also Fiscal Management Services, School Finance Council Training and Financial Consulting. Region 20 provides Grant Evaluation and SBDM Training. In a comparison of HCDE to some of its peers, MGT of America found that 26 of the 43 services offered by HCDE were also offered by Region 4 which is also located inside Harris County – a whopping 10.97 miles away from HCDE! ECI posts 7 locations besides HCDE in Harris County where their services are provided. The biggest argument always used to keep HCDE open is the fact that a section of Head Start operates out of the HCDE building. We all know that Head Start is a federal program that operates nationwide. Different groups contract with the Feds to operate the program all around the country. Every normal person can reason that when HCDE shuts its doors, Head Start will still operate the same centers as it does now. All that will change for Head Start in Harris County is the location of this particular office and some of its procedures. Shutting down HCDE will NOT shut down Head Start in Harris County. The director of this Head Start program would be given a time window to update the contract with the Feds and then time to find a new office space. If they can’t figure out how to run it without HCDE, then they can travel all around the state to learn from all those who operate Head Start programs without the benefit of a local taxpayer supported county department of education building. In Part 1 of this series we lay the case that the Harris County Department of Education is OBSOLETE. In Part 2 we discussed the DUPLICATION of services by the Harris County Department of Education. In this part we discuss whether the HCDE is constitutional. A look at the way HCDE spends money shows it is NOT an “efficient system of public free schools”. From August to December of 2010, HCDE employees ate up $72,593 in “Food/Refreshment” purchases. In August alone a sampling of employee expenses totaled $34,257.58. One employee raked up $690.34 in taxi rides between HCDE owned buildings from August 2010 through February 2011. 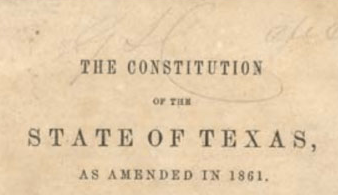 When the Texas Constitution says…“support and maintenance of an efficient system of public free schools” it does NOT give a school board the power to tax local citizens and throw the money away on food, travel and pet projects, especially to benefit others outside their district and their state. In Part 4 we ask why Harris County Department of Education runs FOR PROFIT BUSINESSES. In Part 5 you can sign the petition to stop this waste..
HCDE #4 - Operate "For Profit"